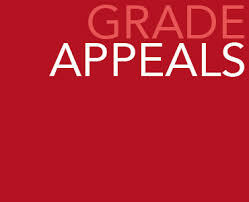 Read your Student Handbook prior to filing a Grade Appeal. You need to understand the guidelines related to filing. 1. First, speak one-on-one with the instructor to try to address the matter informally. You cannot file a grade dispute without first speaking with the instructor. 2. If dissatisfied after speaking with your instructor, you can file a grade dispute of a final grade issued in a course (if you have a legitimate claim). 3. You cannot dispute single grades on individual assignments (using this online dispute method). Only final grades can be challenged formally. 4. Disputes cannot be filed if you simply disagree with a final grade. You must DEMONSTRATE either prejudice or a calculation error or an error in weights (based on the printed syllabus). Please be mindful that instructors have full authority over their gradebooks and cannot be compelled to change grades. Grade changes are only issued if a calculation error can be substantiated. to begin your grade dispute.